In this article, we will discuss ways to get rid of mucus. 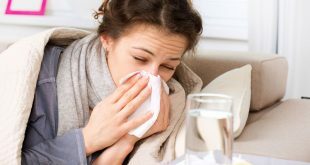 Mucus lines the mouth, nose, sinuses, throat, lungs and gastrointestinal tract вЂ“ helping to lubricate these surfaces, while acting as a filter to remove unwanted substances before they enter the body. 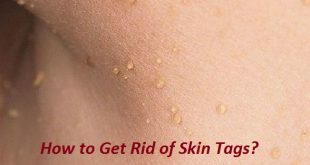 It actually serves a vital function in the body, even though it is horrible, thick and sticky. Although nipping the underlying cause of excess mucus in the bud is vital to normalize production. ItвЂ™s important to know that the presence of mucus can give you the feeling like there is always something stuck in your throat. 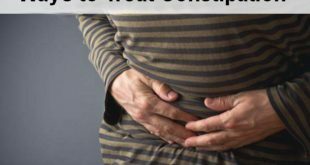 Mucus is not considered to be life-threatening, but it can be irritating and if it would not be removed at the soonest possible time; there is a chance that it can worsen after some time. You can, of course, blow your nose or expel it orally to get rid of mucus. 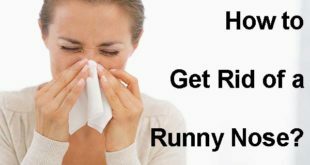 But if an excess of mucus is built up, some home remedies work best in order to relieve your nasal system and help you to get rid of mucus at the soonest. 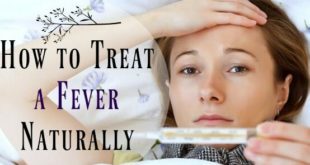 These remedies also help to provide you with much comfort and help to eliminate all the other symptoms as well within no time. 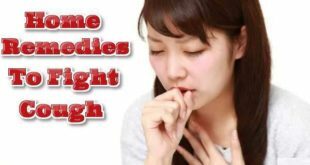 While not a serious health problem, if phlegm or mucus is not treated timely, it can clog and irritate the bronchial tubes and in turn cause a secondary upper respiratory infection. Colds and other upper respiratory infections are common with mucus. Mucus contains the bacteria, virus or inflammatory cells produced in response to an infection. 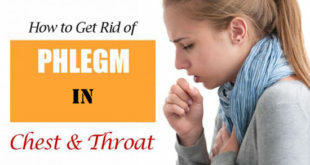 It tends to collect and congest in the chest and throat and is usually expelled through coughing. Allergic reaction to irritants as in asthma and hay fever. Smoking causes the dryness of the vocal cords. This leads to excess mucus production to line the airways. Damage to vocal cords due to over exertion. Infections such as common cold, flu, bronchitis and COPD. If there is blood in the mucus, it is a symptom of bronchitis. Dark yellow colored mucus is an indication of infection of the lower respiratory tract or any bacterial infection. Green colored mucus indicates pneumonia. People who smoke will have dark brown colored mucus. Include a lot of cayenne pepper in your diet. You can also mix some cayenne pepper in a big bowl of hot water and then inhale its steam. Drinking a glass full of hot water with a little cayenne pepper mixed in it will do the trick as well. However, donвЂ™t drink more than two glasses of this every day when you want to get yourself relieved of that mucus and runny nose. Cayenne pepper helps in loosening up the cavities in the mucus and helps in getting rid of the congestion really fast. 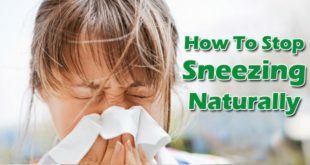 This is one of the most widely practiced natural remedies as well by people who suffer from serious sinus infections and helps to get rid of mucus really quickly. 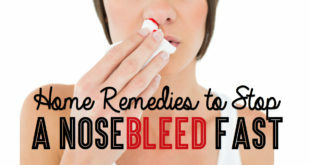 Try it the next time you suffer from a runny nose and notice the instant relief you get. Onion has great decongestant properties to help you get rid of mucus. The sulphur content also helps draw out the mucus and other fluids from your body. 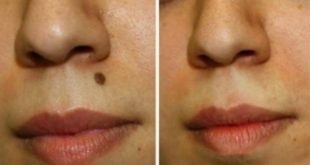 It also has natural antiviral and antifungal properties that help fight off the nasal congestion and any other infection almost immediately. To benefit from an onion, just cut a piece of onion and put it directly in front of your nose and take its strong smell. Or grate a small piece of onion and warm this grated mixture over heat till it is tolerably warm. Add a bit of honey to this and now take this mixture immediately. 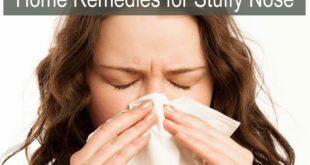 See how quickly this remedy helps to get rid of mucus effectively. Honey is one of the most effective remedies for getting rid of mucus faster and has been used since ages for this purpose. The Nutrients and enzymes present in honey help to kill the bacteria and the viruses that cause the common cold. It also helps in soothing the irritated throat really well and shortens the lifespan of a cold. The best way is to consume two teaspoons of honey with a teaspoon of lemon juice every two hours. You can also opt for taking a teaspoon of honey every two hours if you donвЂ™t want to take the lemon juice. Do this continuously for 2-3 days and watch the relief you get in the cold, sore throat and the runny nose. Honey is one of the best grandma remedies and used widely by a lot of people the world over to get rid of mucus naturally. Warm compress is really effective in getting rid of mucus and works really well in getting instant relief from a sinus infection as well. You can do this 3-4 times a day for instant relief. Simply place a warm compress on your face, cheeks, nose and your eyes. 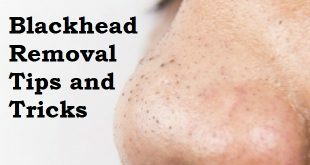 This will help in providing relief from the pressure in the facial area and the pain caused due to the excessive mucus build-up. 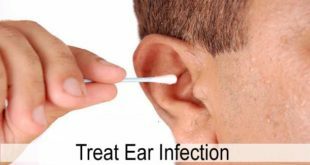 You can also apply the warm compress on your ears to unclog the ears. This is one of the safest and best methods to loosen up the mucus and help you against the congestion. Chicken soup is really rich in a lot of essential nutrients and vitamins that are very effective in treating a common cold and getting rid of mucus easily. It also has antioxidant properties that help in the healing process. Not only this chicken soup also boosts your immunity and gives you strength.В To benefit from chicken soup, make fresh chicken soup at home using fresh organic vegetables and chicken.В Have it at least two times a day for 3 days to extract the maximum benefits. Garlic is a super ingredient from the kitchen to get rid of mucus easily at home. It is good for the immune system and has excellent antiviral and antibacterial properties that open up the respiratory passages and flush out toxins from the body. To benefit from garlic, mix one crushed clove of garlic with two teaspoons of lemon juice, one teaspoon of honey and half a teaspoon of red chili powder. Consume this daily to get rid of mucus. You can also boil three cloves of crushed garlic in a cup of water and add a teaspoon of honey to it. Drink this two or three times a day. Or you can simply eat a clove of garlic or add a few drops of garlic oil in your food to benefit from it. Take 1 or two cups of warm water and add salt to it. Pour the water into the neti pot. Now tilt your head in the sink in such a way that one nostril points towards the ceiling and the other points towards the sink. Open your mouth and breathe through it continuously. Put the clout of the neti pot into the nostril which is facing upwards and pour water through it into the nostril. Tilt your head now in such a way that the water doesnвЂ™t reach the head and flows through the other nostril. As the neti pot is half empty tilt your head to the other side and continue this exercise till all the water has been consumed. Exhale and breathe out completely so that no water is left in the nostril. 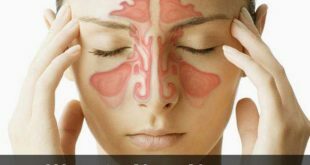 This is a great remedy to get rid of mucus and will help you get rid of sinus infection as well if practiced regularly. Apple cider vinegar is a really effective remedy for getting rid of mucus really quickly and that congestion as well. To benefit from apple cider vinegar, just take 1-2 spoons of apple cider vinegar and mix it with 6 ounces of water. Add a teaspoon of honey also to it. Mix it well and then drink this solution thrice a day continuously for 3 days. This really helps in relieving the sinus congestion by loosening up the cavities in the mucus.В It is also known as one of the most effective remedies to get rid of mucus and is highly recommended by doctors as well. Salt water is one of the best home remedies for getting rid of mucus quickly if you really want to avoid going to a doctor. It acts as a natural medicine and has two good benefits when you are suffering from excessive mucus. First, it will cut through some of the mucus causing irritation to the throat and secondly soothes the inflammation in the throat. The throat inflammation soothes and the amount of mucus that causes irritation is also reduced to a great extent when you gargle with salt water. Here, simply add one teaspoon of salt to a glass of warm water and gargle with it. 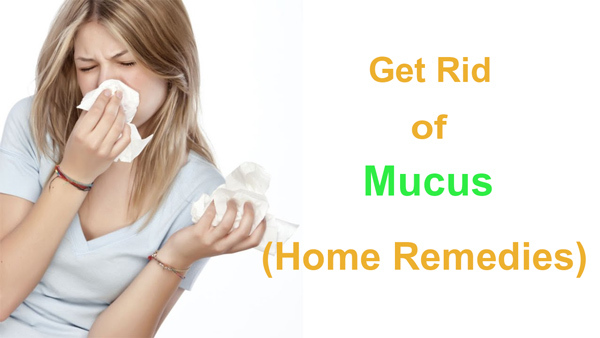 You can do it as many times as you want to eliminate mucus effectively at home. 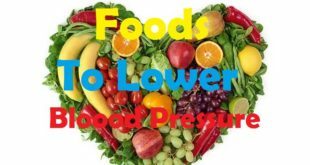 However, be sure to use the exact amount of salt, as too much salt can cause a burning sensation in the throat and too little will not be as effective. 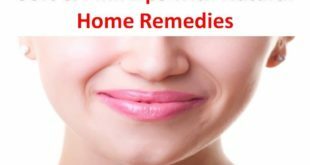 Follow this remedy to expectorate the excess mucus and soon you will get relief, using turmeric is one of the most favorable home remedies to get rid of mucus around the world. Turmeric has excellent anti-inflammatory properties which are good for treating any kind of cough. 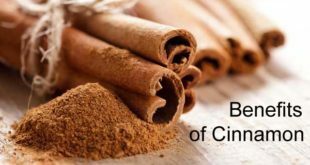 This amazing spice not only offers immense culinary benefits, but can also improve positive health; it is such a versatile and beautiful ingredient in our kitchen. It has been found that turmeric improves airway obstruction, making it a safe and effective treatment to get rid of mucus naturally. People who have gallbladder stones, hyperacidity, stomach ulcers or obstructive jaundice should however not opt for this remedy. Here, add one teaspoon of turmeric powder to a glass of milk and then boil it. Drink it two or three times a day. It is better that you take this on an empty stomach though. It is one of those remedies which have been practiced since long. You take a pot of water and boil it on the stove. It can increase your room’s humidity by the steam that is produced from this boiling water. Take a steamy bath or shower. You have to make sure that you close the bathroom door so that you can get the advantages of inhaling in the moist air. You may use a humidifier. A humidifier is a machine which can make the air in your room moisturize. It is available at drugstores. Ginger has excellent antiviral and anti-inflammatory properties and is one of the most common and effective ingredients used to get rid of mucus. To benefit from this, eat ginger or drink ginger tea several times a day. You can also make a mixture some ginger, salt, and cloves and eat half a teaspoon of this several times a day. For a really runny nose, mix equal quantity of ginger powder, clarified butter and jaggery and consume this mixture every day on an empty stomach. Keep doing this till that mucus goes away completely. Spicy foods are also very good decongestants that help getting rid of mucus really good. These spicy foods contain a lot of chili. The chilies contain a substance called capsaicin. The capsaicin helps in clearing secretions which opens up the stuffed nose. When we eat chilies our eyes get watery and our nose starts running, thereby clearing the mucus in the lungs. There are two ways to use chilies. Either make a chicken soup and add 8-10 drops of hot, spicy chili sauce in it and have this soup at least two times a day. Or make a spicy chilly hot tea. To do this, simply add a teaspoon of chili flakes, lemon juice and honey to a cup of hot water. Steep the chilly flakes in the hot water for at least 2-3 minutes. Stir it well, strain and then drink when it is still hot. This is enough to get rid of mucus really quickly. Increase your intake of vitamin C to boost your immunity. Dairy products, grains, sugar and potatoes and other starchy root vegetables should be avoided as these cause mucus. Both acupressure and self-massage can help reduce the discomforts. Maintain adequate humidity inside your house. Drink more water to help thin the mucus and also keep the body hydrated. Include exercise in your daily routine to clear out congestion quickly. Eat foods high in omega-3 fatty acids to fight inflammation. Stay away from possible allergens that may be aggravating your condition. A warm compress applied to the nostrils can help unclog a stuffy nose by opening the nasal passages from the outside. In order to help your body recover quickly take adequate rest. Next How to Stop a Toothache Naturally?